After a decade, the Audi S5 has finally received a full redesign and the wait was well worth it. This new model builds on its predecessor’s best traits, including sleek styling, a refined interior and spirited driving dynamics, and takes them to all-new levels. In almost every metric, this latest coupe is a prime example of how to do it right. It’s a blast to drive, yet it doesn’t sacrifice luxury and comfort in the process. If this type of Audi vehicle interests you, then we recommend that you visit our pre-owned car facility at 115 Auto Park Circle in Woodbridge! In this article by Pfaff Audi Vaughan, we will take a look at a pre-owned 2018 Audi S5 3.0T. Read on for more information. The 2018 Audi S5 is at the top of the class when it comes to driver engagement and performance. It’s a blast to drive on a twisty road yet well-mannered in everyday situations. The acceleration is incredibly smooth and the upshifts are impeccable. It’s deceptive how quickly this car gets up to speed, requiring the driver to show high levels of restraint. The S5 has impressive roadholding capabilities. It easily navigates through sharp turns at speeds that would overwhelm lesser vehicles. The all-wheel-drive system deftly supplies power to specific wheels to aid the car’s handling balance around turns. The standard sport seats are very comfortable over long distances and provide excellent lateral support when cornering. The side bolsters are thick but are power-adjustable if you want more space for your torso. Standard massage functions are the cherry on top. The summer tires emit a noticeable amount of road noise on coarse asphalt, but they are quiet on most other surfaces. Engine noise is louder than in most vehicles, but in this car it feels right and sounds pleasantly aggressive. Wind noise is pretty much absent. 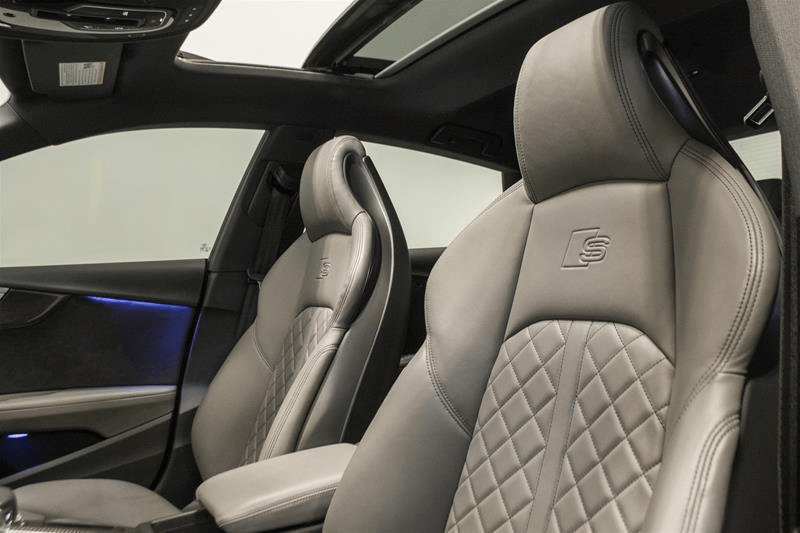 The S5’s cabin is a wonderful expression of modern, understated luxury. The materials quality is high, and the smart layout of controls makes operation easy and distraction-free. There are only buttons for essential controls. You operate everything else through the MMI infotainment system. The simple design and logical placement and grouping of buttons mean you’ll rarely have to look down to use them. This is an example of how it’s done right. The roof pillars are moderately thick, which is typical for any car today. But they don’t obstruct your outward view much, and the optional top-down camera system takes away any guesswork in tight parking spaces. Mirrors offer good coverage, too. The Audi S5 has a lot of high-tech features and makes them easy to use. The virtual instrument panel is particularly good with configurable sections and clear graphics in any light. The MMI infotainment system’s evolution keeps it among our favorites. The optional Bang & Olufsen sound system delivers powerful audio with excellent clarity. 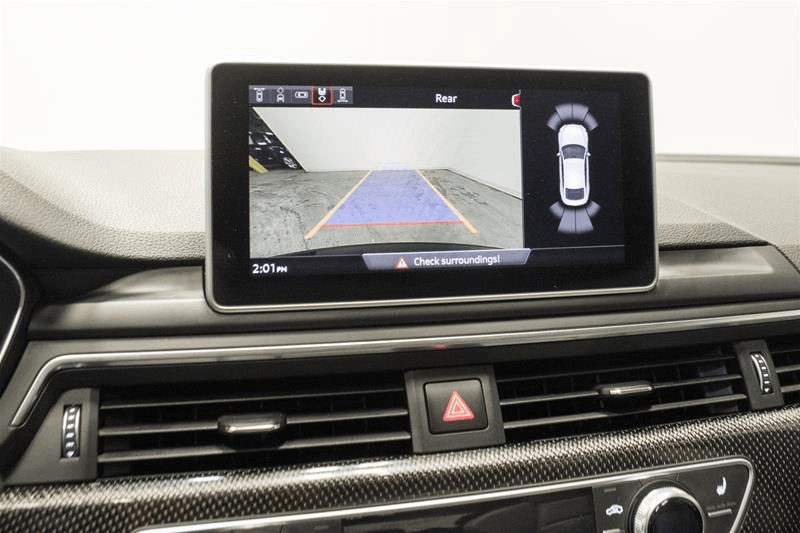 The navigation is packed with features and is easy to operate, particularly with the trackpad and voice commands. The MMI system continues to get high marks. If this type of Audi vehicle interests you, we recommend that you schedule a test drive at your earliest convenience. Our pre-owned vehicles at our pre-owned car facility are subject to sell at any time. 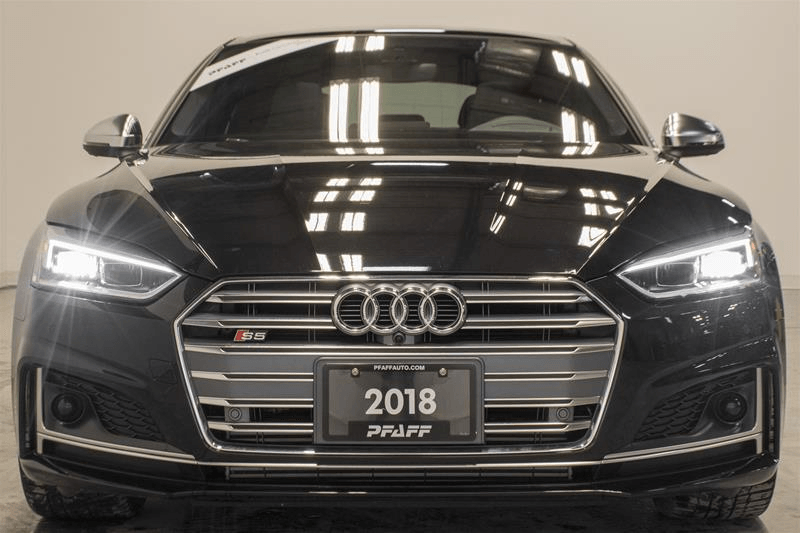 For more information about the pre-owned 2018 Audi S5 3.0T at 115 Auto Park Circle in Woodbridge, please feel free to continue browsing through our Pfaff Audi Vaughan website. Click here to find our contact information, schedule a test drive, or fill out our contact form.